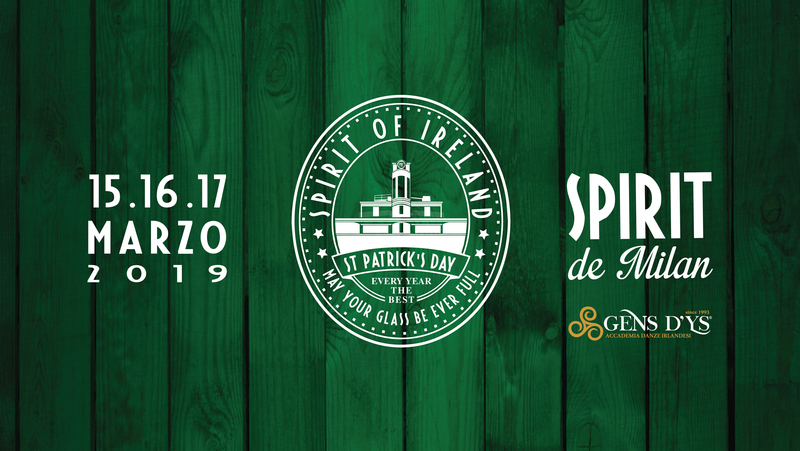 Friday 15, Saturday 16 and Sunday, March 17 Spirit puts green clothes on to celebrate the famed San Patrick's Day together. Throughout the three days of the Festival, Spirit de Milan will host Irish-themed crafts exhibitors, workshops of Irish dances, music sessions and culinary corners where you can enjoy local Irish products and dishes. You’ll get the chance to taste the best whiskeys and a typical Irish brunch. Throughout the period of the Festival, Spirit will host a market, many Irish dance workshops, Irish folk music and Irish culinary corners, where you can enjoy local Irish products and dishes. There will be a corner dedicated to whiskey tasting and another where to enjoy the typical Irish brunch. During the three nights of the Festival, folk music bands will take over the stage. Last but not least, we will have Irish folk dances performed by Gens d'Ys. St Patrick’s Day is not only about Guinness beer: our guests will taste and appreciate the best dishes of typical Irish cuisine, such as fish & chips, Irish Guinness stew, colcannon and baked potatoes, and their sweet tooth will be delighted with mouth-watering desserts prepared with the iconic beer. A picture taken at the right time: the frothy foam mustache of all those who drink a pint of Guinness! Guests will be happy to share the photos and their experience on social media. 10 € REDUCED PRICE TICKET (Spirit De Milan and Gens d’Ys members only. please produce your membership card at the counter). Natural red-haired clients will get a complimentary extra beer!